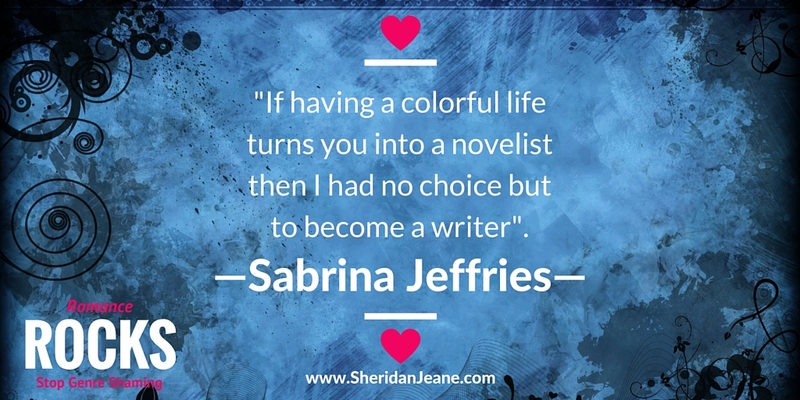 Today I’m sharing a quotation from Sabrina Jeffries. Sabrina writes historical romances (just like me!) and is a New York Times bestselling author! She lives not far from my father in the Raliegh, NC area, and I’ve followed her career from afar for quite a few years now. We both have loved ones on the autism spectrum, and that partially accounts for some of my fangirl attitude. Make sure you check out her website. She has lots of things going on there, and you’ll probably learn something interesting!